Believing that what you create and bring into the world must be exceptional and has been the primary goal of Danish audio and television manufacturer Bang & Olufsen since 1925. For more than 90 years the company has defined or re-defined the way consumer electronics look, work and interact with users. It’s the story of a remarkable partnership between an engineer and a designer, determined to create the look of sound. 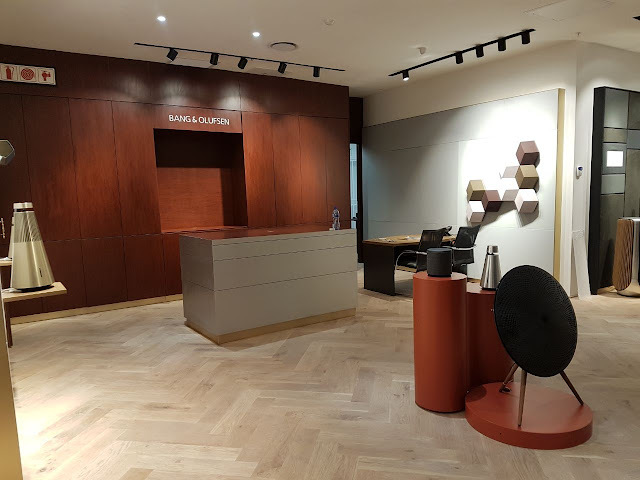 Now you can experience the beauty and magic of Bang & Olufsen at their flagship sensory store in Cape Town, located at the V&A Waterfront’s Silo District. The V&A Waterfront is one of Africa’s most visited destinations with 24 million visitors annually. The city prides itself in art-and-design, and that’s where the synergy was established. 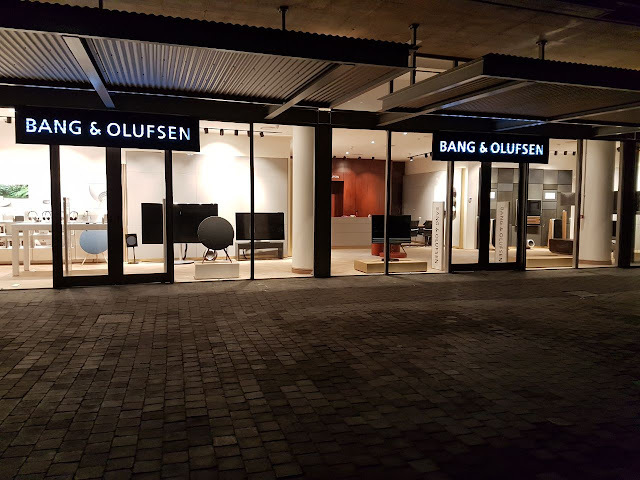 “One of the most beautiful things about the brand is the design, that’s why we are so excited about being at the Silo District because it’s all about design…” says Shannon Rogotzki, Director of Bang & Olufsen South Africa, to Ryan O’ Connor on KFM. The brand offers consumers A-V equipment from a completely different point of view - that will leave them in awe while at the same time creating an emotional remembrance. Once you step inside Bang & Olufsen of Silo you experience a feeling like no other. Time just stops and you begin to unwind as you focus your eyes on a plethora of beautiful design centric televisions, loudspeakers and much more. We focus on sharing stories about our brand that stays with you and deepens your interest. We believe that sharing stories creates an emotional association with our products. Don’t forget to relax in our experience room for a moment. 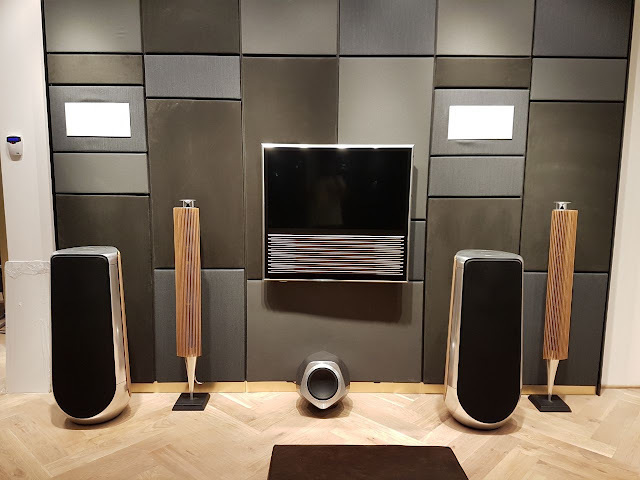 The B&O experience room secretly hides the majestic BeoVision 85” on a motorised stand and the top of range BeoLab 90 loudspeakers that pushes out 8200 watts of pure digital Bang & Olufsen Signature sound. Upon noticing them you feel goosebumps running through your body because you already know you are in for an experience like no other. 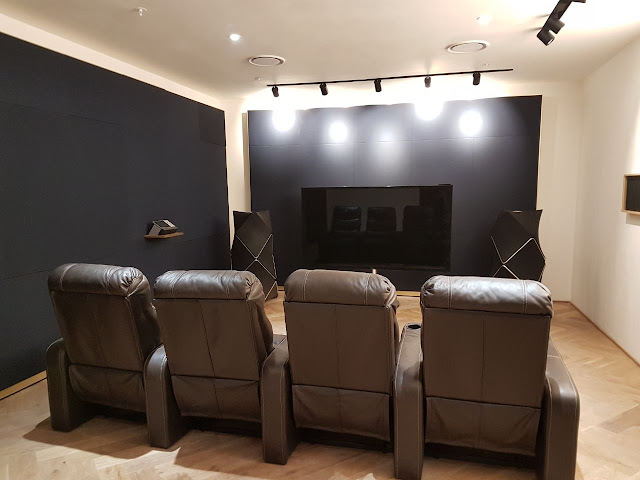 All you need to do is sit back on the fine leather couches and take in the beautiful sight and sound you are about to witness. Upon opening our doors to the public we are proud to launch two new products that everyone is looking forward to experience. The first is BeoSound Shape, a new wireless “off the wall” speaker system focused on the design conscious music lover. Designed by renowned Danish designer Olivind Slatto, the idea for BeoSound Shape was actually inspired by honeycombs & snowflakes due to their hexagon pattern. It was immediately decided that this will be the primary form because it will give audiophiles the freedom to constantly expand and build onto it until a unique design and optimised sound experience is achieved. The second is BeoLab 50. 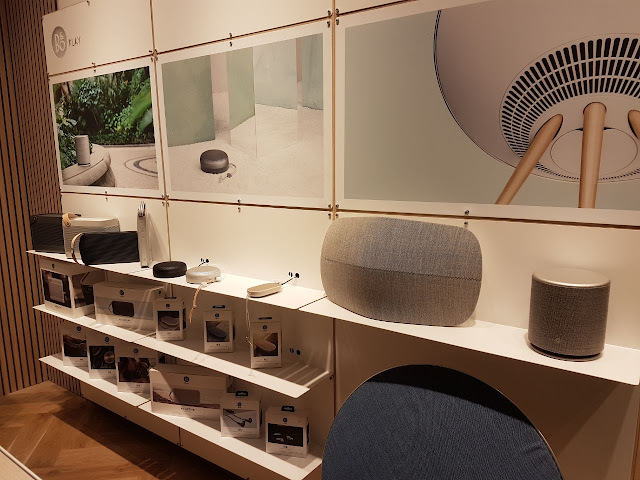 A new wireless loudspeaker designed in light of BeoLab 5, the main objective for creating BeoLab 50 is to connect past & present Bang & Olufsen products with the latest technology used today. Amongst all the amazing features that are built into BeoLab 50, there is one that stands out and that’s the mechanical movement of the Acoustic Lens. We’re sure you have all seen the B&O Acoustic Lens pop-up from the dash of an Aston Martin either through a video or at an Aston Martin dealership at some stage, and we have to admit its absolutely amazing to see that. Well, that’s what designers Thorsten Frackenpohl and Andre Poulheim achieved when they designed BeoLab 50. When the speaker is activated the acoustic lens slowly appears from the silver polished aluminium top and lights up. However, the acoustic lens has now been upgraded and gives you the ability to control the sound dispersion by achieving a wider or narrower listening experience. 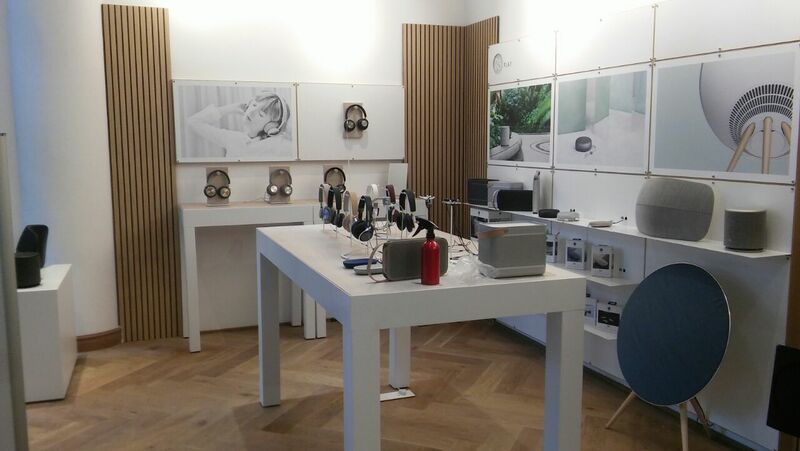 Visit our showroom to experience BeoSound Shape, BeoLab 50 and other amazing HOME products for a personalised demo. If you’re looking for our portable & trendy range of headphones, earphones and portable Bluetooth speakers you will find them on display at the PLAY table. The B&O PLAY Range of products are constructed from premium quality materials that you can feel between your fingers, and they are integrated with the latest technology to achieve acoustics like no other audio brand, so that you can experience true Bang & Olufsen signature sound. Our headphones, earphones and portable Bluetooth speakers deliver sound just as your favourite artist intended for it to be listened to.